Beauty Professor: Happy Independence Day! 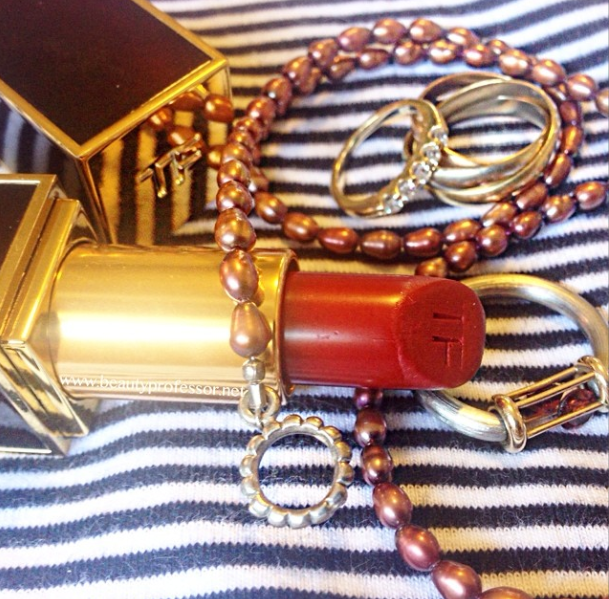 Above: Patriotic beauty...Tom Ford Scarlet Rouge lipstick and vintage jewelry on a Catalina Striped Mini Dress. Happy Independence Day, dear American readers! I hope that, wherever you reside and whatever your country of origin may be, your weekend is filled with rest, relaxation and a thankfulness for the blessings of this life. xoxo and a FOTD tomorrow!